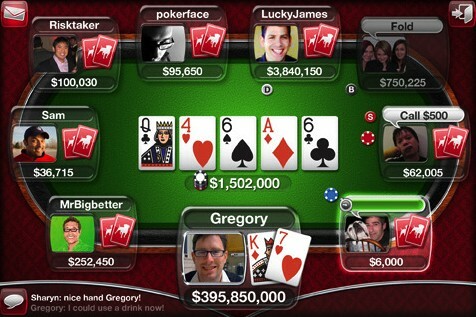 Social gaming Website Zynga Hacked, $12 million worth Poker chips Stolen ! Apparently, one guy managed to hack into social gaming giant Zynga. It transferred 400 billion (!) Poker chips virtual about him and began to sell on the black market. (Yes, apparently, is there a black market for virtual Zynga Poker Chips.) They were worth about $ 12 million. This is how the man was called and has since pleaded guilty and will probably serve a long prison sentence (he was on parole for a first offense of piracy related). Interestingly, there was a debate in the British court, where he was prosecuted for piracy, which is really the flight because of poker chips are good virtual, virtual, and Zynga can create as many as he wants. The Court responded by saying that yes, virtual goods are treated as property and add chips to your account amounts to theft. What we want to know is how the guy managed to hack Zynga, and what they do to ensure it does not recur. We asked for details Zynga and will keep you updated if we learn more. We just ask rogue hackers do not disrupt our city would be pain stakingly built.